Bathroom Remodeling - A.C.T. Builders, LLC. It’s been one of those days. Everything that can go wrong has gone wrong. All you want to do is get home from work, put the day behind you and slide into a hot shower or bath. The only problem is that your bathroom looks like a train wreck. The shower is too small, as is the bathtub, and you feel like you need to turn sideways in order to scoot past the washer and dryer just to get to the tub. 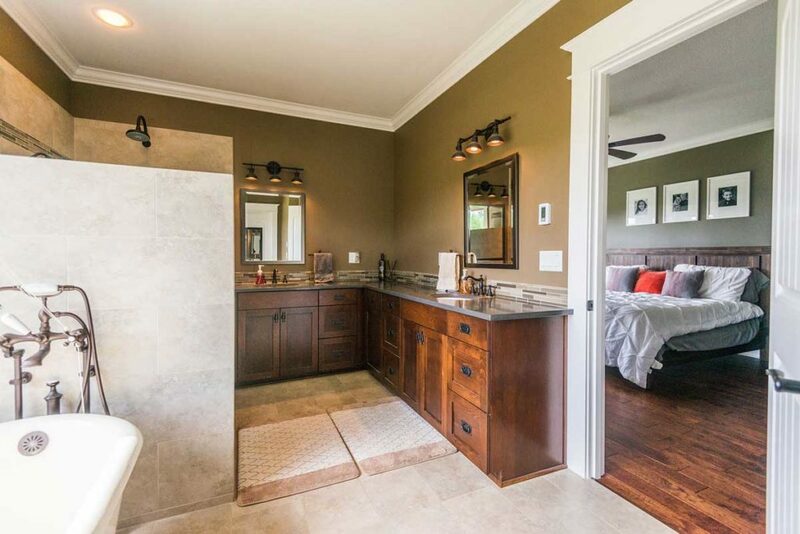 Older houses just weren’t built with big comfort in mind when it came to bathroom spaces. Designs were compact, succinct, and largely utilitarian. In the past decade, however, there has been a return to comfort. 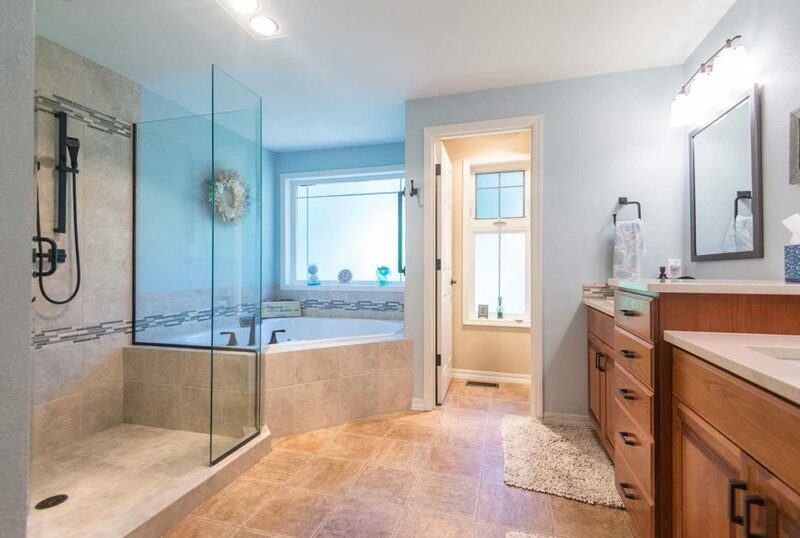 Creating a space in which you can relax and escape from the troubles of the world in a double headed shower or an extra large soaking tub is what many of us need. What Should I Consider During a Bathroom Remodel? 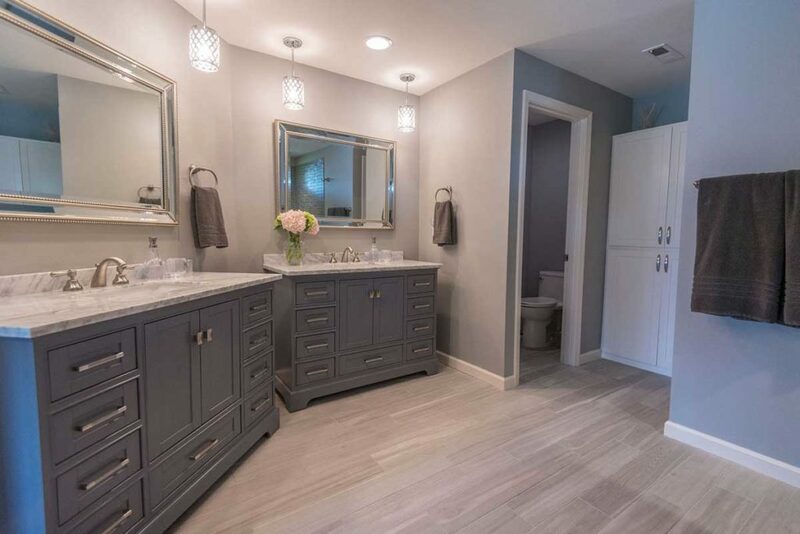 When considering a bathroom remodel, comfort is one part of the equation, but we also want to hold on to some of those older standards of utilitarianism. The footprint of the new bathroom needs to look good, but it also needs to function—meeting the needs of those who will rely on it day in and day out. It starts by discussing your vision, needs, timeline, and budget. These four elements are key to understanding what can realistically be done during the remodeling process. We then spend time developing a rough plan and timeline for your bathroom remodel—taking a closer look at what can feasibly be done given the budget and timeframe. The design portion of the project will be essential as it allows us to codify the specifics of where things will go, how the room will be laid out, and to dig deeper into the look and feel we are trying to achieve. Once the plans have solidified, we start requesting permits and planning for the physical work. Working with building inspectors can, at times, be challenging but they are a resource that will provide us with the means to creating a stable, safe space. Why Choose A.C.T. 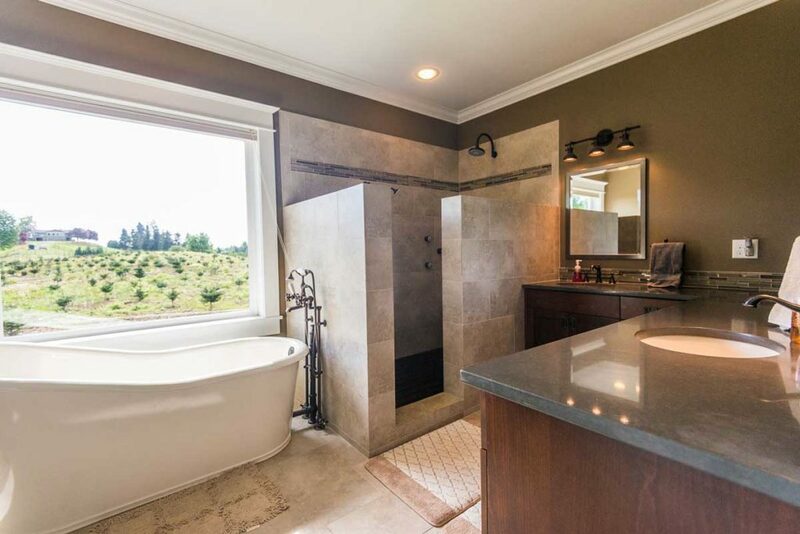 Builders for Your Bathroom Remodel? The most obvious reason might be the decades of combined experience our company has as a remodeler. Honestly, though, we create beautiful work. Spend a bit of time looking at our projects and you will begin to see the level of detail that we put into our remodels. We say that, “We create awesome stuff”, and that’s the truth. We get there by focusing on the getting the details right. That kind of attention is what makes for beautiful design. Honesty is at the core of everything we do. We want to do the job right, while keeping the lines of communication clear between everyone involved. Unfortunately, that is not always the case with those in the building professions, but we make it a point to keep the team (that includes you) up to date with the important details as the project develops. That way we avoid surprises. We always up for working with young, first time home owners who are looking to build an amazing new bathroom space. Yet, we have a soft spot for those families that are on the other end of the age spectrum and who are beginning to look at their later years and what changes they will need to make to their homes in order to support physical limitations or other health concerns as they grow older. We are certified Universal Design specialists trained to work with families to ensure their home’s design will accommodate physical needs that arise in later life. Aged and in place design centers on making design modifications to an existing home so the owner can stay in their family home during their retirement years. With the rising costs of care facilities, this model is becoming more popular, and is needed. Whether you are looking for a kitchen update to make things more functional or a bathroom remodel that will accommodate special needs, we can help plan for that. Thinking About Updating Your Bathroom? 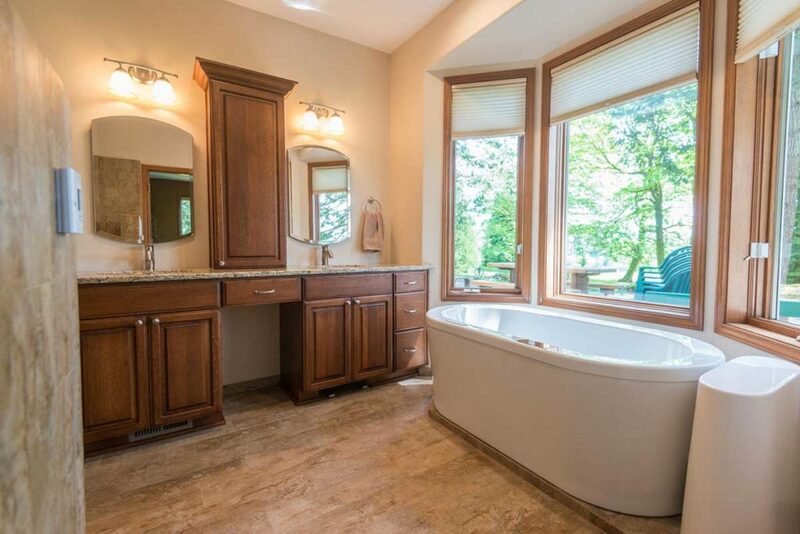 Your bathroom remodeling project is an investment. We leverage our decades of construction and design experience to create the perfect space—your oasis.